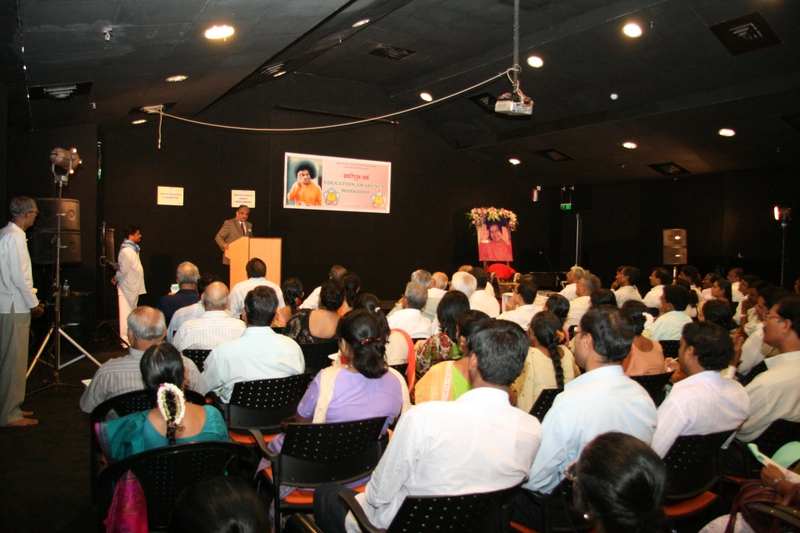 Emphasizing the need for ‘Education for life and not mere living’, the district president of Sri Sathya Sai Organisation of Goa clearly chalked out the motto of the seminar on Value education attended by 120 delegates compromising of school principals, management members and teachers representing 40 institutions in and around Goa. It was an appeal to teachers to take value back to their own schools and enable the child to journey one inch inwards despite man’s ability to externally conquer the frontiers of the universe. The first speaker Mr. Nimish Pandya, a leading advocate and international faculty member for education in human values, considered the teacher as an effective medium for propagation of human values. The speaker averred that if education genuinely meant all-round personality development of the child, then a child scoring a hundred in moral science and whose soul is stirred by the sweet voice of the church anthem should have equal recognition as a child scoring hundred marks in mathematics. He condemned the education system where children in classrooms were made to think and say how man belonged to animal kingdom. Calling this a fundamental flaw’, he urged teachers to call upon the spark of divinity latent in each child enabling him to explore his own potentiality. 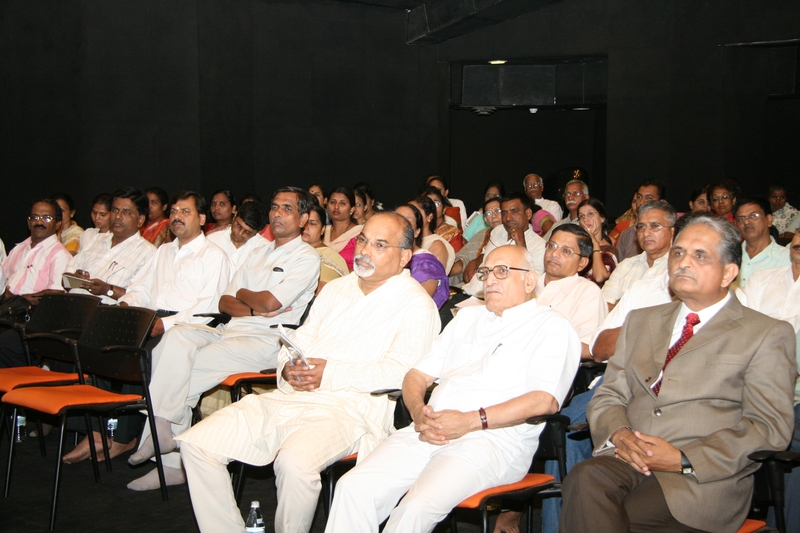 The task of spreading value education was an individual enterprise that rested heavily on a noble saying – “practice should always match percept”. The speaker lamented the fact that society always experienced the dearth of good people and how a veteran lawyer like Nani Palkhivala had once mentioned to him that the greatest bane of Indian life is the “Crisis of character”. The speaker then detailed the curriculum for value education compromising of prayers, positive thinking, tales of heroic adventures despite adversity, role playing and value-games. The speaker concluded the session by stating that every individual should be keen on practicing the values in his own life for children close their ears to advise but open their eyes to example.